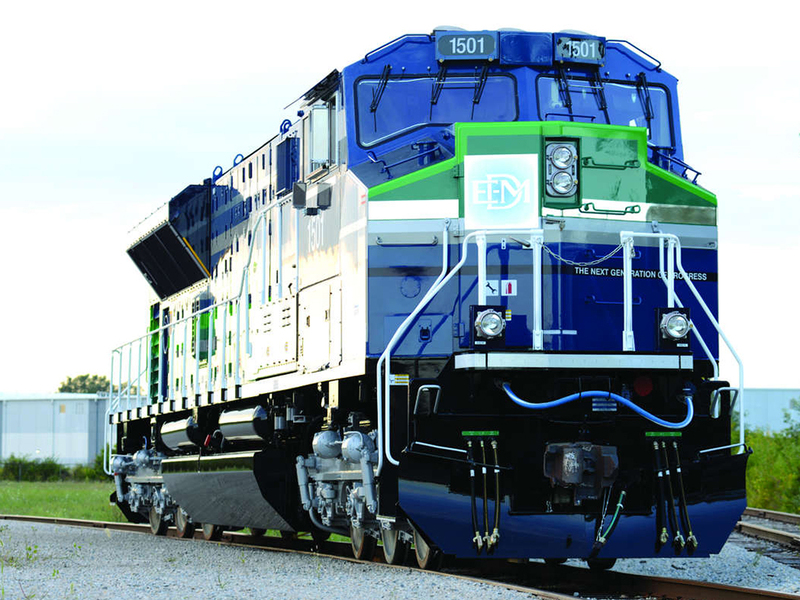 Electro-Motive Diesel’s SD70ACe debuted in 2005 and was the main competition to General Electric’s Evolution Series™ of road-switchers. Although the SD70 series, which was first cataloged by the company in 1992, has never been able to regain EMD's dominance as the number one locomotive builder it was nevertheless a very successful design with a few thousand different versions of the model operating around the country today. EMD's latest locomotive model is the SD70ACe-T4, which looks to carry on the success of its variants such as the original SD70ACe, SD70MAC, and SD70M (which sold more than 2,700 examples combined). Today, the original SD70ACe can be found in operation on every Class I except Canadian National (which rosters the variant design, SD70M-2). Additionally, even regional Montana Rail Link has purchased sixteen of the locomotives and may order more as power requirements are needed. The EMD SD70ACe, as with General Electric's Evolution models, was born out of a requirement by the EPA that new locomotives meet the agency's then-"Tier II" standards for diesel admissions. In the case of GE, its new GEVOs utilized a 12-cylinder prime mover that also captures diesel exhaust and captures it as energy in storable batteries to reuse later. While EMD had not yet achieved such technological advances with its locomotives the SD70ACe held its own and is a fine design. Rated at 4,300 hp, the SD70ACe was essentially a more environmentally friendly version of the builder’s SD70 series featuring EMD’s 16-cylinder model 710G3C-T2 engine, along with upgraded computer systems, electronics, and the builder’s famous self-steering trucks (the HTCR-II). The HCTR-II has aided significantly in EMD's ability to continue strong sales despite continuing to lag behind GE in research and development. The HTCR-II was created during the 1990s and first equipped on the original SD70 designs. It used computer software to steer itself into oncoming curves which greatly reduces the wear on both truck, axles, and the track itself. 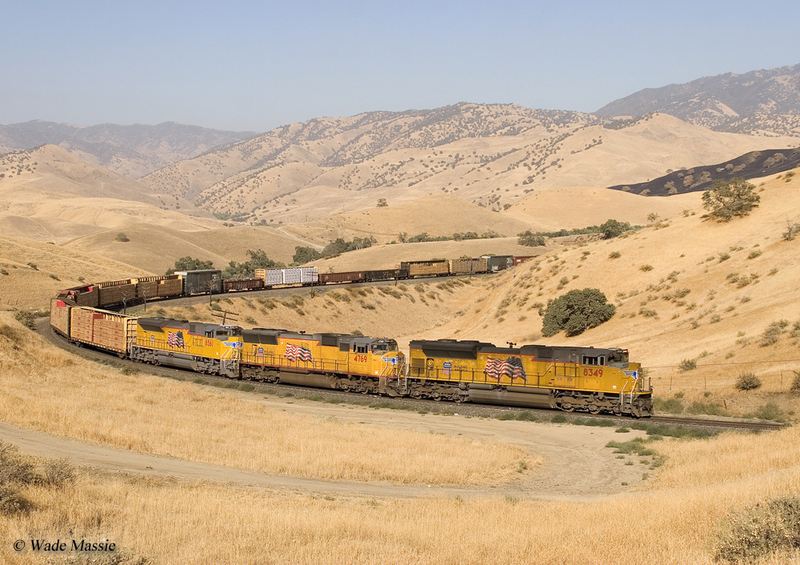 While as successful as GE’s Evolution Series™ sales nonetheless were strong for the SD70ACe. Total sales for the model by the end of 2014 concluded at 1,034 units in North America. While the SD70ACe featured the same basic carbody of the SD70 series part of its design was inspired by Conrail's SD80MAC of 1995. Although the '80MAC (also known as the "Conrail Cadillac" because it was the only railroad to purchase the locomotive) did not sell particularly well EMD rearranged some of its features on the longer frame. Not only was it the first model to feature the flared rear radiator (common on GE models since the 1970s) but EMD also moved its dynamic brakes from directly behind the cab to the very rear of the locomotive. This new design feature was used on the later SD90MAC and kept with the SD70ACe. EMD also offered one notable variant of the locomotive for North American lines, the SD70M-2. This locomotive was essentially the DC version employing General Motors' model AR20AB generator instead of the TA17/CA7A alternator. Ultimately, it sold to only three railroads; the Canadian National (#8000-8024, #8800-8964), Norfolk Southern (numbered #2649-2778), and Florida East Coast (#100-107). Additionally, EMD's three demonstrators of this variant went to CIT Financial as leasing units. 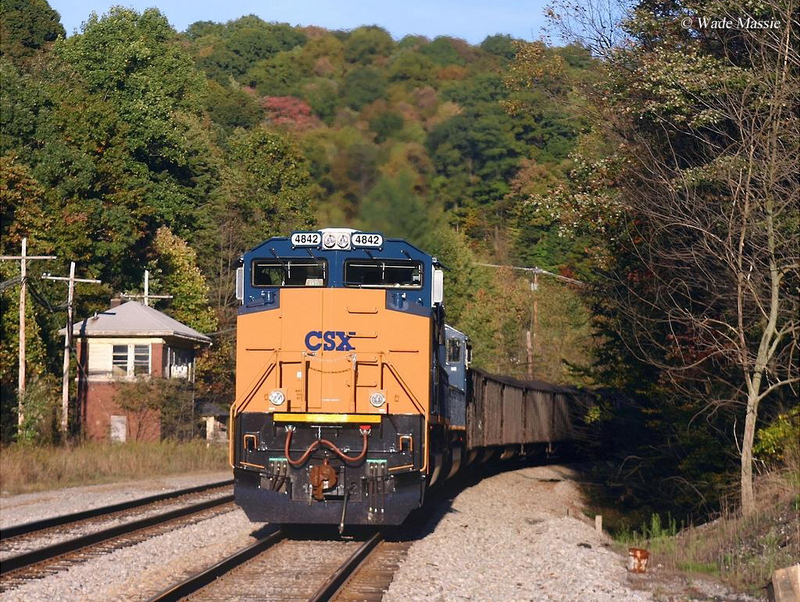 Dimensionally, the SD70ACe is 74 feet, 3 inches length or about six feet shorter than the SD80MAC and SD90MAC. Union Pacific has acquired all SD70ACe-T4 demonstrators except #No. 1501 and SD70ACeP4-T4's #1603 and #1604. Its tractive effort ratings are very comparable to the GEVOs; 191,000 pounds starting (slightly more) and 157,000 pounds continuous (slightly less). There are also a few international variants of the model known as the SD70ACe/Ic and the SD70ACS. The former was purchased by BHP Billiton of Australia with a lower height profile to clear low hanging obstacles. The latter design was developed for arid desert enivronments and has been purchased by Saudi Railway, Mauritania's Société Nationale Industrielle et Minière, and the Etihad Railway. Alas, it seems foreign buyers will be the only customers for EMD's SD70 series moving forward. For more information about the SD70ACe please click here. As the EPA increased its regulations on ever-cleaner diesel emissions it seemed the SD70ACe and its 710 prime mover were safe as the engine met later Tier III standards. However, when Tier IV standards went into effect on January 1, 2015 Caterpillar/Progressive Rail was unable to make the prime mover compliant and there is no way to do so according to Bill Badurksi, a former EMD employee in his article "Closing A Chapter In History," from the January, 2015 issue of Trains Magazine. While EMD sat in the shadows as General Electric unveiled its all new, Tier IV-compliant model in August of 2012 the company continued working towards releasing its own design, especially after it became apparent the 710 prime mover would have to be retired for domestic sales. At the Railway Interchange trade show in Minneapolis on October 4, 2015 the company, amid much secrecy, finally unveiled its own Tier IV locomotive, the SD70ACe-T4. While the model's name seems to indicate it is a variant of the original SD70ACe series, EMD states this is a brand new locomotive manufactured from the ground up. In place of the old 710 prime mover is the new 12-cylinder, 4,600 horsepower model 1010 diesel engine that was designed by Electro-Motive, Progressive Rail Services, and parent Caterpillar. During an interview with Trains Magazine at the show an EMD representative gave a confident and convincing interview of the SD70ACe-T4's capabilities. While they would not go into the specifics regarding how the engine can produce 4,600 horsepower and remain Tier IV compliant the representative did state they utilize technology similar to General Electric in that diesel exhaust is captured as energy and reused within the system. Aside from the new engine several other design features went into the model using considerable feedback from railroads and employees. Riding on a new frame the SD70ACe-T4 is three inches shorter than the original SD70ACe to meet railroads' requests, a larger interior cabin has been achieved by lowering the floor with a concave ceiling (high enough to offer plenty of clearance for hard hats), an escape door on the conductor's side in the event of a rollover, and a return of EMD's classic notched windshield for better crew visibility. In addition to these features Electro-Motive debuted an all-new radial (self-steering) truck with independently controlled axles that is said to be much easier to maintain. For a company brochure of the locomotive please click here. The first demonstrator built was #1501, manufactured at Progress Rail’s Muncie, Indiana facility and EMD states there will be a total of five demonstrators in production draped in various paint schemes. The company goes on to state that SD70ACe-T4 will enter production in 2016. Caterpillar and EMD have much riding on this locomotive. If it proves troublesome and unsuccessful it appears the builder will never again compete against General Electric's now decades-long dominance in the locomotive marketplace. However, for the industry's sake having two competitive manufacturers offering high quality locomotives, one of which is the long-recognized name of diesel technology which almost single-handedly retired steam from main line service, would certainly be a good thing. In any event, in the coming months and years we will find out what kind of product the SD70ACe-T4 is and how it performs.